A simple curve makes the bit lay flatter on the bars of the mouth. The more open the tongue area the less pressure for greater comfort. Available in Sizes 4 3/4", 5", 5 1/4", 5 1/2", 5 3/4" with a mid-thickness 16 mm thick mouthpiece. 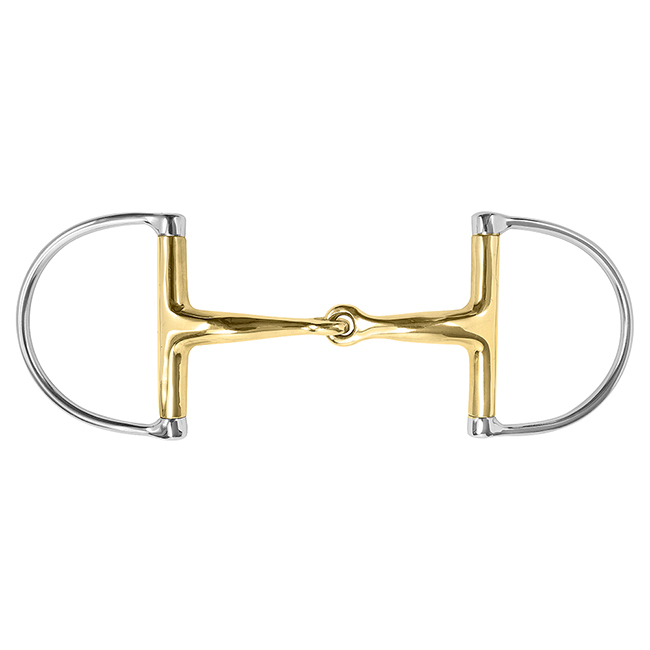 From Ponies to Derby's, our Sanft "Big-D" ring snaffle is the classic look in the Hunter Ring. The size of the bit is determined by the measurement between the rings. The thinckness is measured as the diameter of the mouthpiece at the connection to the ring.